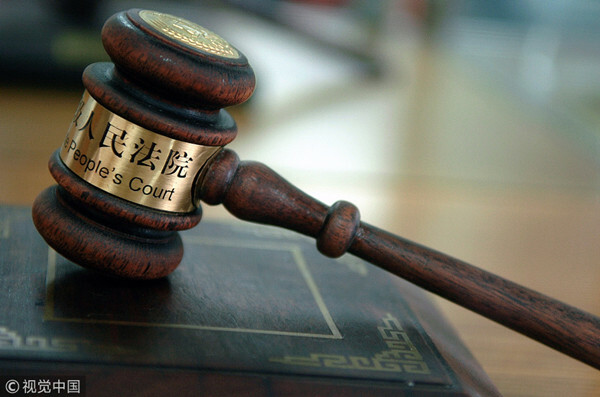 Courts around China will hand down harsher sentences, up to and including the death penalty, for gang-related crimes, under a directive released on Tuesday by the country's leading group pursuing a national crackdown on gang crime. China has taken a tough stance and stepped up its efforts against gangs. In January last year it launched a three-year campaign against mafia-style gangs and officials who shelter criminal organizations. Chen Yixin, director of the leading group, said at a news conference in Beijing on Tuesday that as of March, more than 79,000 people had been prosecuted, and trials are crucial at this stage of the campaign. Jiang Wei, deputy director of the leading group, said the directive clarifies the legal definition of mafia-style gang crimes so that other types of cases won't be misidentified. Mafia-style gang crimes are acts that include elements of outrage and public oppression. Crimes committed solely for economic gain without such elements should not be handled as gang crimes, Jiang said. Also, to be identified as a gang members, suspects must be aware of the mafia-style nature of the activities they are involved in. "We've seen cases where judicial workers at the grassroots level have wrongly identified mafia-style criminal gangs, so clarifying the legal definition is very important. Such gangs are sometimes associated with crimes such as organizing prostitution and drug trafficking, but it doesn't mean that any group that is involved in such criminal activities can be handled as a mafia-style gang," said Lin Wei, vice-president of the University of Chinese Academy of Social Sciences and an expert in law. According to the directive, gang members who commit minor crimes or who cause little bodily harm to others, and who confess, can be given lenient sentences or even exempted from punishment. But those who commit brutal crimes and cause severe harm to society won't receive leniency, even if they confess. Meanwhile, gang members who provide valuable information leading to the breakup of a gang and who expose those who serve as a "protective umbrella" will also receive lighter sentences, under the directive, which will be adopted by the Supreme People's Court, the Supreme People's Procuratorate, the Ministry of Public Security and the Ministry of Justice.